Just how we like our food, I’m always looking for brands making their products with fresh ingredients in small batches. Good Medicine Beauty Lab is just that – a third generation, family-owned company developed by five outstanding women. Read more to discover what makes them a #BeautyForFoodies love! It’s been a few months since my last Beauty for Foodies – all about my favorite perfume company Strange Invisible Perfumes – so in reality it’s been longer since I focused on anything skincare. So today I’m diving into a company I’m loving lately and has become a part of my everyday routine for the past months. Good Medicine Beauty Lab is a brand that carries basically ever skincare product you’d ever need and these are just some of the ones I’m loving lately, but before I go into the products, let’s chat a bit about the company itself. 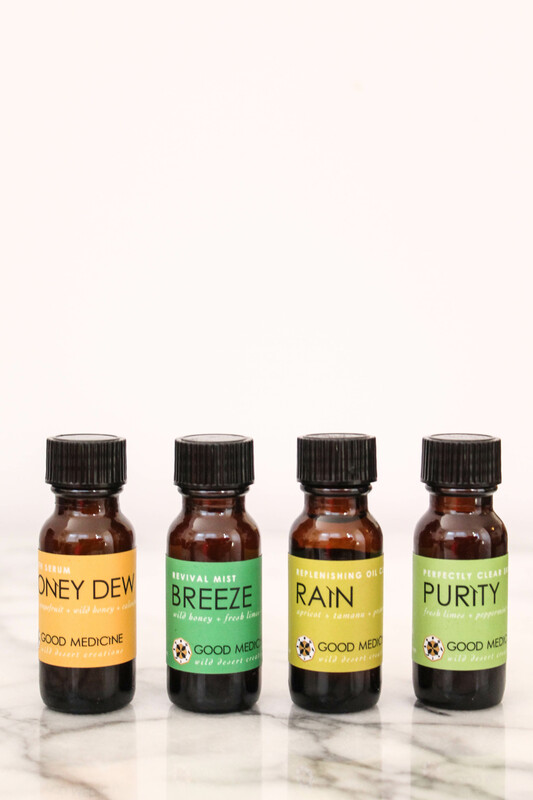 Good Medicine Beauty Lab is a skincare company out of the Southwest, specifically out of the state of Utah. Sourcing their ingredients from the wild deserts of Utah, they are all organic, certified organic, kosher, natural or wildcrafted. With no animal testing and all their products except just two are naturally gluten free, it’s a great brand to explore if you’re looking for skincare products to add to your routine. Let’s start with the restoring body cream that’s helped us survive the cold, dry New England winter. 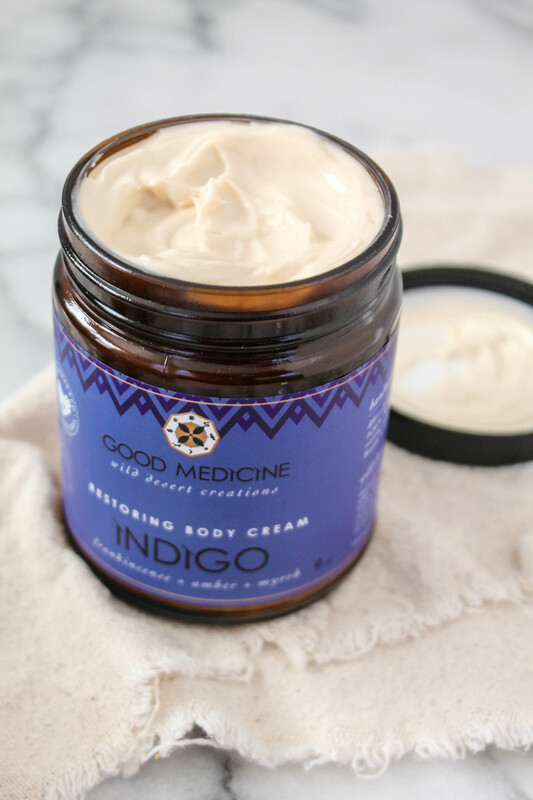 Indigo is a body cream that penetrates the skin quickly, leaving feeling so soft and smooth, never oily or sticky like some body creams (and typically the reason I never like body creams, so I love this one). Not only is this body cream moisturizing, but it has ingredients and elements in your body that have extraordinary antibiotic, antiviral, and anti-fungal properties. It’s main ingredients, Frankincense, Amber, and Myrrh elevate the aromatic experience to a level the just sets the mood at night. My husband and I keep this on our coffee table next to the couch and use it late night while watching Netflix, giving each other foot massages. I know, I’m a lucky lady. Honey Dew / youth serum is like the fountain of youth for your skin – it rapidly diminishes dark circles, smooths fine lines, reduces water retention, and lifts dark spots! It worked on my nose specially, where I used to have dark sun spots. Breeze / revival mist is the toner you never thought you’d need! A blend of aloe vera, fresh limes, and wild honey, I will be restocking this for the summer as well. It refreshes you like no other and at the same time penetrates your skin and nourishes it. Aloe vera is something I grew up with a garden full of it and its properties are deeply engrained. Aloe vera on your skin = radiant, nourished skin! Rain / replenishing oil cleanse is just the thing you need if you’re into oil cleansing, and honestly, who isn’t?! With ingredients like apricot, tamanu, and primrose oils, not only does it effectively remove all makeup and dirt from your skin, but also nourishes and detoxes your skin at the same time. Purity / perfectly clean skin tonic is what you need if you have issues with breakouts and acne. Thankfully, I get one pimple a month during that time of month, so I prepped my skin with this and the monthly breakout is simnifically reduced. It has ingredients lie dandelion and peppermint, to quickly reduce inflammation and combat bacteria, which is a cause of breaking out. When I created the Beauty for Foodies section, I wanted it to be focused on how beauty brands are using culinary ingredients you can find in any kitchen, within their skincare company. Because I know that it’s not just about what you put IN your body, but ON it, that makes a real difference. And if you can balance out a good, nourishing diet with a great, nourishing beauty routine you’ll be at your best in no time. That’s why my love for their Honey Bee Mask is obvious, as it’s basically wild honey, apple pectic, and aloe vera. Could I make a version of this at home? For sure – but I love supporting a company that creates such lovely products. One last product I fell in love with was this Sand – Red Mineral Polish. Guys, the brand says to use this 1-2 times a week but there was a week I used it daily and oh my gosh, my skin was incredible! I used it that much because I was traveling and using it as my cleanser, so I was delicate when rubbing it in, as to not overdo it. The blend of yucca, raw honey, and desert mineral sand just buffs your skin to perfection! 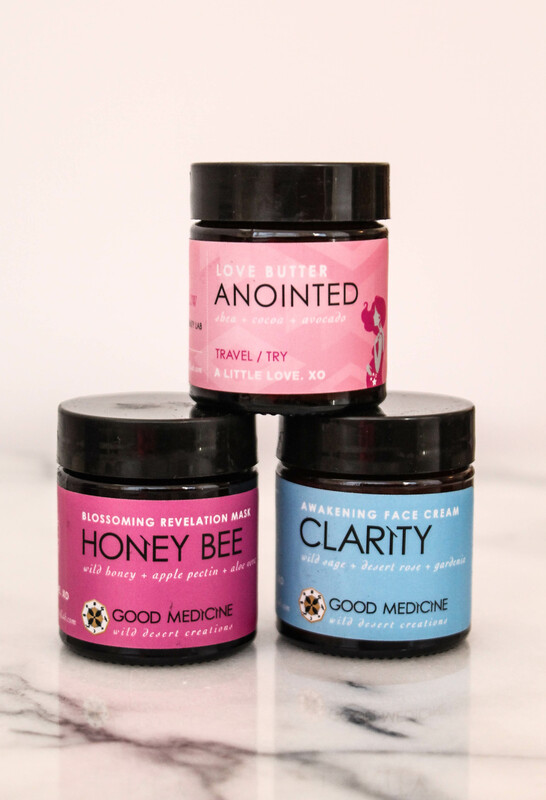 If you’re looking for a green beauty brand with clean ingredients that are focused on nourishing your skin and making it the healthiest possible, I hope you give Good Medicine Beauty Lab a try! 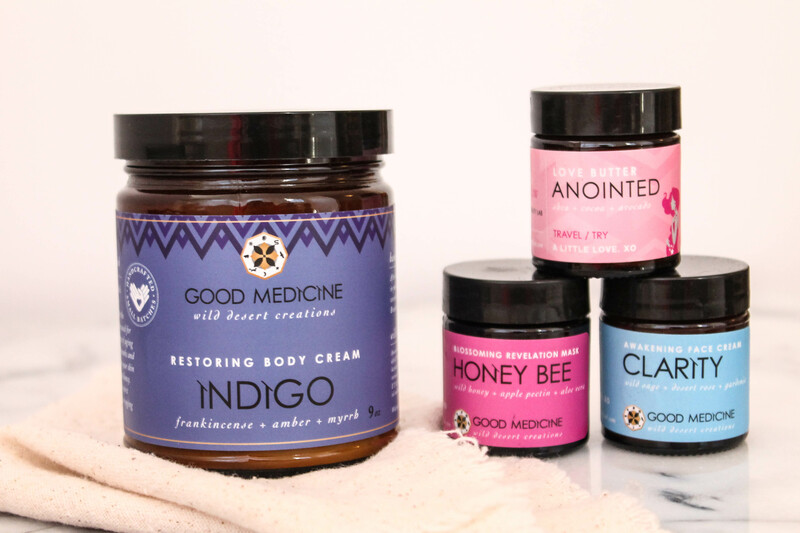 I use restoring body cream (Indigo.) This cream is particularly useful to those who have dry skin. I use it during winter.